The K-4A Heavy-Duty Antenna Stud Mount use nylon instead of inferior plastic insulators and allows for efficient transfer of your transmitted and received signals to and from the transceiver. The 3/8" center shanks can mean the difference between trouble free use and lost antennas. 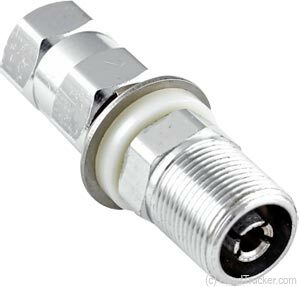 The K-4A stud mount should be used whenever a PL-259 terminated coax cable is to be used.